This is the first issue of Evolution One’s newsletter. In it, we’ll cover some of the key AI-related news and announcements that came out over the first two months of 2019. Going forward, you can expect to see one post/email per month from us that’d highlight a few select areas where we saw the most significant developments, plus expert opinions and other news we found interesting since our last post. In the past few years, AI has proven to be quite useful at tackling a wide range of tasks, from speech & image recognition to mining data to text translation. That being said, some areas remained too complex to be successfully tackled with AI, especially when it comes to competing against human operators. That’s what makes some of the recent advancements exciting, as machines are now becoming increasingly capable of performing on par with, or better than, humans, including in some areas that require dealing with complex environments and imperfect information which before largely remained the domain of humans. DeepMind’s AlphaStar that won a series of matches in StarCraft II against two pro players is perhaps the most impressive example of the past months (especially given that StarCraft has previously proven to be particularly challenging for AI). Still, some areas, at least for now, remain too difficult for AI to crack, no matter what approach is used, as we’ve witnessed with IBM losing to a human debater in February. The discussion around ethical & responsible usage of AI has been heating up lately, which is unsurprising, really, given the growing capabilities — and thus potential dangers of abuse — of AI. In particular, the issue of the biased facial recognition models now becoming more widespread and being implemented by police remained in the spotlight, as did the deep fakes controversy (which now extended to text communications as well, not just videos — see the article about OpenAI text generator). Those are hard challenges that won’t be addressed quickly, so having an ongoing discussion on how to deal with those becomes critical. On a more positive side, organizations around the world increasingly invest in research around the implications of embracing AI in our lives. While many worry about AI taking over the world and potentially even eliminating humanity (not that we seriously believe this is a legitimate concern at this point), it’s hard to ignore the benefits that technology already brings to the people’s lives. In particular, tackling the gap between people with disabilities and the regular workforce has been one of the focus areas for some of the major players in the industry for a while now. The recent announcement from Google of the Live Transcribe product is another step towards eliminating this gap by assisting people with hearing problems through providing them with a real-time transcription service. In contrast, using AI to automate some of the functions that were previously performed by humans remains more controversial — while it could potentially improve the quality of service, this can be viewed as AI taking jobs from human workers, which could justify push back from the workforce. The announcement of GA version of Microsoft’s Healthcare Bot is one notable example here. With consistently improving quality of algorithms, and the cheapening of computational resources needed to analyze data, we expect companies to shift more and more to automated solutions to manage and execute calls and chats. We find Microsoft’s Healthcare Bot to be an interesting example of a specialized solution, that goes beyond regular customer service scenarios and touches a highly-sensitive area of health-related customer experience. In general, when it comes to coding, various empowerment tools could significantly improve and optimize the code we write, suggesting a more efficient structure or better optimized functions to use, or searching for potential errors in the code. However, the benefits could go much further than that. More specifically, with machine learning, the necessity to have programming skills in order to leverage the benefits of neural networks complicates the process and limits the area to those who know how to code. However, while writing and optimizing code is a important component of any efficient ML algorithm, this is one area that could potentially be completely automated, allowing the task of building models to become a plug & play experience, and freeing time that could be then spent working on the architecture and physics of the network, rather than learning Python and debugging code. While AI has been steadily infiltrating more and more areas of our lives, it’s important to recognize the fact that its capabilities are not limitless, and there are still plenty of tasks that AI today can’t successfully tackle or has delivered less than originally expected, with IBM Watson & AI-powered ETFs being just a couple of examples of the recent disappointments. Many argue that AI will destroy the world, others say that it will save it, but both sides agree that AI is critical for the future. We believe that diversity of opinions is critical for creating an environment that allows new ideas to flourish, and thus we wanted to share a couple of interesting reads featuring expert opinions. The first article discusses Trump’s executive order on AI that we have covered in our recent article, and provides a few points of view on the announcement itself. The second unveils some expert’s opinions on who’s leading the race US or China. On February 11, President Trump signed an executive order outlining the American AI initiative. Among other things, the order discussed the need for the U.S. to maintain its current leadership in AI. This was followed by another announcement from the Department of Defense on February 12th, which released the summary of its strategy on artificial intelligence. And yet, one can argue that continued U.S. leadership is far from certain: in particular, as we’ve discussed in “Reflections on the State of AI: 2018”, China has already surpassed the U.S. in terms of investments in AI startups, with close to 50% of AI investment dollars going to Chinese startups (in terms of the number of deals, the U.S. is still in the lead, although the share of AI startups hailing from the U.S. has been steadily declining over the last few years). China is now also challenging the U.S. in terms of both the number of patents and publications in the field. True, the quality of some of those publications might still lag behind the U.S., but China has been catching up, and the rate of its advancements in the field over the last few years has been simply staggering. As it usually happens with any kind of game-changing advancements, however, different countries have found themselves facing new opportunities and challenges offered by AI in vastly different circumstances. For the rich western democracies, the emergence of machine intelligence offers opportunities to explore new frontiers, build a new generation of successful companies, and further improve their societies. However, it also means having to face the dangers that AI could pose to their citizens if applied recklessly. In the last few years, that meant increasingly prioritizing the “no harm” approach when devising the AI policy — the West, with its emphasis on individualism and strong human rights record, simply has more to lose and less to gain when it comes to AI, compared to other places. While the West, and more specifically, the U.S. might still lead the way in AI research, it’s the implementation that is going to be harder and more challenging, considering a different level of expectations it faces around ethics & privacy concerns. In contrast, China is facing a different set of challenges altogether: given its historical context and the stage of economic development, the opportunities potentially stemming from AI often outweigh the dangers of its abuse, which in turn has led to embracing AI and executing an aggressive investment and deployment strategy. It’s also worth noting here that with the broad AI deployments, China and the West might be optimizing for different results. In China, it would often be optimized to deliver the best results for society as a whole, even if it means inadvertently harming minorities in the process. On the contrary, the West focuses on human rights and fair treatment of every person, including any outliers, which in turn creates unique challenges for AI adoption. As for the rest of the world, most countries today fall somewhere in between the extremes represented by the West and China. Now, let’s dig a bit deeper into the key factors that will determine the leader in the currently unfolding global AI arms race. Building on what we’ve discussed above, we propose segmenting the world into 3 major groups: the West, China & the rest of the world. Obviously, such segmentation is quite subjective, but we believe it frames the conversation around AI policy in a useful way. Now, when thinking of any problem that could be tackled using machine learning, there are three building blocks to be considered: data, people, and money. Note: Quantities of each resource here are subjective, and serve the illustrative purposes only; we will elaborate on how we’ve got to those for each section below. The last couple of decades has brought us tremendous growth in the amount of data generated, and there is no sign of it slowing down — rather, if anything, it’s been accelerating in the last few years, driven by our ability to generate ever-increasing amounts of information, as well as the explosion in the number of sources for new data, both on the hardware & software side. According to IDC, today more than 5 billion consumers already interact with data every day, and this number will increase to 6 billion by 2025. Still, while in the early 2010s it was the smartphones that were responsible for the bulk of the growth in the amount of data, going forward the growth will be driven more and more by the IoT devices, which are now expected to generate over 90 zettabytes of data per year by 2025 — over 50% of all data forecasted. One thing worth underscoring here is that the relationship between the number of devices & the amount of data they generate has never been linear, but nowadays, this is becoming especially true. While in the late 2000s & early 2010s, it was the growing penetration of smartphones, coupled with the declining costs of transferring & storing data, driving the amounts of data produced, there were obvious upper limits on the number of smartphones that can be in use at any given time. However, today, at 3 billion smartphones in the world, the growth is slowing down, yet the amount of data is growing fast as ever. There are 2 key factors at play here. First, while smartphone growth is slowing down globally, IoT represents a different story. As of 2018, there were at least 7 billion IoT devices (with other estimates putting this number significantly higher), posed to grow to 21.5 billion by 2025, surpassing all the other categories combined. Perhaps more important than a specific number of devices is the fact that there is no natural limit to the number of IoT devices that can be put out there: it’s quite possible to imagine the world where there are dozens or even hundreds of devices per every living person, measuring everything from the traffic on the roads to the temperature in our apartments (and this is even before accounting for the IoT devices used by enterprises). Second, the amount of existing data is to a significant extent defined by our willingness and ability to collect, share and store it (be it temporarily, or permanently). And here, the choices we make around what types of data we are willing to collect and retain are becoming crucial — any data that’s not captured today is by definition lost, and this effect is compounding over time. Imposing restrictions on data collection out of concern for people’s privacy and to prevent potential abuses might be a reasonable thing to do, but in the narrow context of machine learning, those choices affect the amount of data available to train the models on. This, in turn, means that countries less concerned about privacy (with China being a prime example — for instance, see its experiments with AI-powered security cameras to catch criminals) will likely gain an edge when it comes to data. That being said, it’s also important to recognize that privacy concerns aren’t applicable to every single problem, and there are some fields (such as driverless cars, or machine translation — see some interesting expert opinions here) where the West would actually have better datasets. People represent the second crucial building block, as it is they who define the approach used to tackle any problem that could be addressed with machine learning. Here, the situation is somewhat opposite of what we’ve seen in Data — the West, and the U.S. in particular, has a natural advantage, stemming from the fact that it remains one of the most desirable locations to work and live in, and thus has an easier time attracting people from all over the world. It could also be more tolerant towards unorthodox ideas, which provides for a more creative environment and helps to find and nurture innovative ideas. In fundamental research, the U.S. has also historically had an advantage, thanks to its established system of research universities, not to mention its ability to attract top talent from all over the world. Still, in recent years, China has established a system of top-tier research universities and continues to aggressively invest in it. Today, China is already conferring more doctoral degrees in natural sciences & engineering and produces more articles in peer-reviewed journals than the U.S., according to the Economist. Moreover, in AI-specific research, the U.S. lead is even less certain, as was mentioned before (see CB Insights report for details). Finally, when it comes to the practitioners who are focusing on implementation (rather than pure research), both the U.S. and China have some unique strengths; two possible proxies to evaluate those are the number of startups founded in each respective country, and the number of professionals joining the field. The U.S. has the highest number of startups and also an established ecosystem of big tech companies such as Google, Microsoft, and Facebook investing in the field. Still, China is #2 here (#3, if looking at Europe as a whole); moreover, it receives an unprecedentedly high amount of investments (more on that in the section below), and is also a home to select few companies that could rival the biggest players in the U.S. (namely, Alibaba, Tencent & Baidu). However, in terms of the workforce, China has a clear lead — today, it produces 3 times more college graduates with STEM degrees compared to the U.S. that faces chronic shortage of qualified personnel. Unlike in research, where it is the select few who often matter the most, with the practitioners, numbers do matter, and producing enough engineering and science major becomes crucial to establish and maintain leadership in the field. According to CB Insights, investments in Chinese startups contributed 50% of the dollars invested in AI startups in 2017 globally, growing from just 11.6% in 2016. It comes as no surprise then that top 2 most well-funded companies in 2018 — SenseTime and Face++ — were both from China — we have already briefly discussed AI investment landscape of 2018 in our recent article and concluded that China already leads the race today when it comes to early-stage investments. Still, now that President Trump has announced his American AI Initiative, we feel it might be a good time to go back and consider how this announcement affects the balance of power. Before we do that, however, let’s pause for a second and think through the funnel that could help analyze the efficiency of the investment strategy and determine its ultimate success or failure. Finally, determine how focused the proposed strategy is and whether it targets the right areas that have the potential to yield the best possible returns (the areas themselves would differ based on the overall goal — e.g. supporting an already established and well-developed ecosystem might require a different strategy than when building the basic institutions from scratch). Now, applying this framework to evaluate President Trump’s strategy for the AI, one could safely conclude that it doesn’t really change anything, given how vague and generic it is. That is not to say that the U.S. is falling behind China when it comes to investments — rather, it becomes clear that both countries are equally well positioned in terms of the amount of funding available, the robustness of ecosystems and availability of multiple areas to focus on that pose significant opportunities for advancement. While today many view AI as a new arms race, where countries are posed to fiercely compete against each other (and the tone of President Trump’s announcement doesn’t help the matter), we believe that collaboration in AI leads to consistently better outcomes for all. Interestingly enough, the West is particularly likely to benefit from promoting global collaboration (more than its counterpart that is better positioned to thrive in a siloed world), as it was the freedom to think and create that historically made places like U.S. attractive for talent from around the world. The role of the Western governments should thus be focused on helping to frame and guide the discussion, rather than trying to impose unnecessary restrictions stifling innovation. Today, with hundreds of companies deeply engaged in the AI space, and even more working to figure out their strategy as related to the field, it might be a bit hard to pinpoint specific players that are best positioned to lead the way in the future. Still, if we look at any of the many lists outlining the key players (see here and here, for example), 5 companies — Google, Facebook, Amazon, Microsoft & IBM — inevitably end up on all of them (other companies mentioned almost as often are Apple, Tencent & Baidu). In this article, we’ll focus on Google & Microsoft, as in 2018 those two appeared in the news for the AI space most often; still, the rest of the tech giants were by no means less prolific, and we plan to cover some of them in more detail in our next article focusing on the latest advancements in technology. We’ve already seen the impressive achievements of AlphaGo and AlphaGo Zero in the game of Go in 2015 & 2016, when it handily won most games when competing against two of the strongest Go champions; in 2018, however, DeepMind’s team managed to achieve something even more interesting — the newest AlphaZero engine demonstrated its clear superiority over all of the strongest existing engines in chess, shogi and Go. At Ignite, another big conference held in Orlando last September, Microsoft released Cortana Skills Kit for Enterprise, which represents an exciting attempt to test AI-based assistants in the office space — think of the cases where you can program a bot to be able to schedule cleaning service for the office, or automatically submit a ticket to the help desk guided by your brief voice command. Later in November came another series of interesting announcements, such as Cognitive Services Containers. Cognitive Services allow developers to leverage AI in their apps without requiring them to be experts in data science, or possessing extensive AI-related knowledge. The container story, in turn, is focused around the cases for Edge Computing — a concept when there is no need to send the data to the Cloud to perform calculations and rather process it locally, allowing to reduce latency and in many cases optimize costs. With Cognitive Services in Containers, Microsoft’s customers can now build applications that will run AI at the Edge locations. Investments in AI space have been booming lately, although as was reasonably called out by Crunchbase, it could hard to estimate by how much. CB Insights has built a good infographic of AI space, and sliced and diced top startups by categories in this article. We see two major takeaways here — first, the largest rounds in AI industry in 2018 were raised by Chinese companies, such as SenseTime and Face++ ($1.6 billion and $0.6 billion, respectively). Second, of 11 unicorns existing today with $20 billion+ estimated valuation, 5 companies are from China and contribute up to 50% of total valuation, with SenseTime leading the group with a stunning $4.5 billion valuation. This underscores a critical point: China seems to be moving at a faster pace compared to other countries. Moreover, with its increasingly large footprint, China is now emerging as the powerhouse in the AI field. (For additional details, check out this summary outlining various national AI strategies that countries around the world are pursuing today). However, having a large dataset of labeled data to train the model isn’t quite the same as having a good dataset. You see, the neural networks relying on supervised learning are only as good as the data they are initially trained on, so if the underlying dataset has any flaws (such as focusing on one characteristic at the expense of others), chances are that the neural network would pick up those biases and further amplify them. This might not sound too bad in theory, but only until we consider the possible issues stemming from it in real-world applications — and as we’ve seen in 2018, those could be quite profound. Even the greatest technology is unfortunately bound to occasionally make mistakes when operating in complex, indeterministic environments. And thus, on March 18, 2018, the thing that was eventually bound to happen happened, when an autonomous vehicle belonging to Uber hit and killed pedestrian in Tempe, Arizona. This accident forced the company to suspend all tests for its driverless cars and re-examine both its processes and its tech; it also sparked a heated discussion about the current state of technology behind self-driving cars, as well as the ethical and regulatory challenges that needed to be addressed if the autonomous vehicles were to gain wider acceptance from general public anytime soon. Nine months later, Uber was allowed to resume its tests of autonomous cars in Pittsburgh, followed by San Franciso and Toronto in December, although in those cases, Uber’s self-driving vehicles remained restricted to “manual mode” (which meant the company would be focusing on exposing the cars’ software to new circumstances, rather than running active tests). To get in good graces of the authorities once again, Uber had, among other things, to agree to additional restrictions on the types of roads and conditions where it was allowed to operate its autonomous vehicles. Moreover, Uber had to switch to a system providing more rigorous training to the drivers (a critical piece, as the investigation of the fatal accident that occurred in March demonstrated that the driver was distracted and thus wasn’t paying attention to the road, as he was supposed to), now called “mission specialists”. Finally, the company introduced a third-party driver monitoring system, and also made additional improvements to its tech. Still, it seems very unlikely that we’ve seen the end of the discussion about public safety and the necessary regulations when it comes to autonomous vehicles; rather, Uber’s unfortunate accident has only fueled the ongoing debate. We’ll see what the year 2019 will bring us; one thing, however, we can be certain of is the next 2-3 years will likely prove to be critical in shaping the public opinion on the subject of self-driving cars. 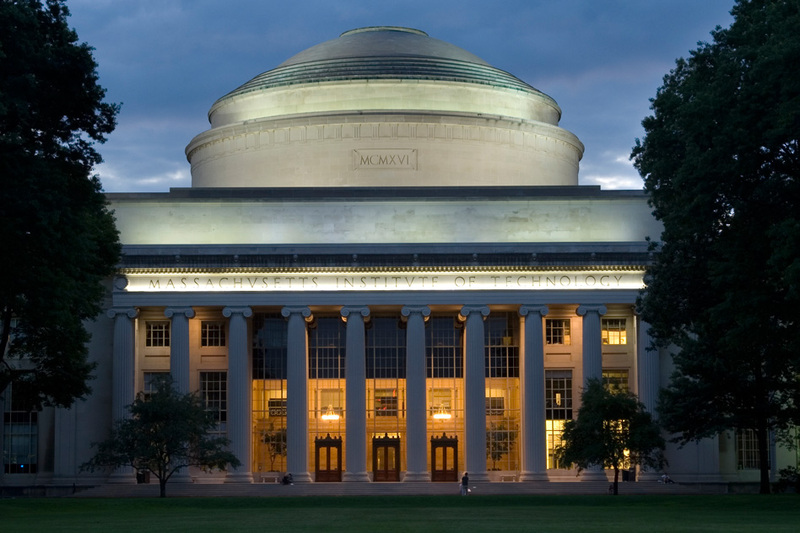 MIT already boasts a very strong reputation in the field (not to mention that its efforts in AI space could be traced back to the very beginnings of the field in the late 1950s). Still, it’s hard to overestimate the importance of this latest development — for instance, Schwarzman’s gift will allow for the creation of additional 50 faculty positions dedicated to AI research, effectively doubling the number of researchers focused on computing & AI at MIT. The emphasis on cross-disciplinary collaboration, as well as the research on relevant policy and ethics to ensure responsible implementation of AI, is also noteworthy here — while we’ve seen a number of think tanks and research initiatives focused on these topics created in the last few years, it’s great to see MIT’s commitment here, as there’s still much and more work to do on the subject. Features like Google Pixel’s Night Sight mode, or Smart HDR capabilities made available on iPhone XS and XS Max, are just a few examples of some of the things that have been made possible through the use of machine intelligence. What’s perhaps even more interesting here is that these new capabilities have now clearly demonstrated the ability of AI to enable improvements that extend beyond the physical limitations of the cameras, thus setting the entire field on a new exciting path. As a result, computational photography today has already proved its value to both those familiar with other advancements in AI space, and the users far removed from the field. Another aspect of computational photography applications is when the neural network is being used to completely rework the image using an algorithm to adjust the output to look like the artwork of famous artists, like Van Gogh or Monet (e.g. see Prisma app). Similar concepts are used in various areas of machine vision, and benefit, for example, driverless cars. Over the last few years, the emergence of the machine intelligence in all spheres of human life became impossible to ignore. Today artificial intelligence powers the thermostats and voice assistants in our homes and phones, suggests us best routes while driving, and makes pictures we take look better. Moreover, we ourselves increasingly leverage various AI capabilities to augment our work and daily lives to become more productive. Many things that we take for granted, like receiving suggestions for similar items while shopping, translating texts, or simply searching the web, would not be possible without powerful machine learning algorithms running in the backend. Still, while there have been a lot of exciting advancements in AI space, or maybe exactly because of how quickly it’s been evolving, it remains hard to familiarize oneself or to stay up-to-date with all the latest developments. While there is already a multitude of AI-related resources on the web, a comprehensive taxonomy of the industry, sliced by key products, people, institutions, and technologies, is yet to be developed. We find that creating such a taxonomy would go a long way to make it easier for industry professionals, technology evangelists, or simply anyone interested in learning more about machine intelligence, to navigate the field.